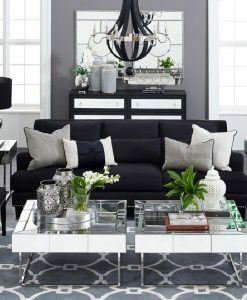 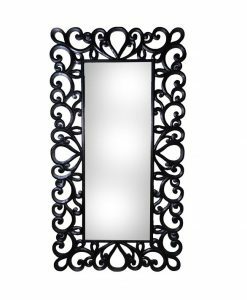 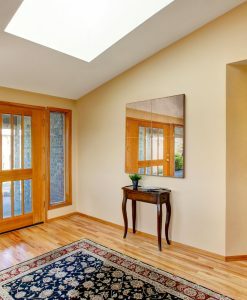 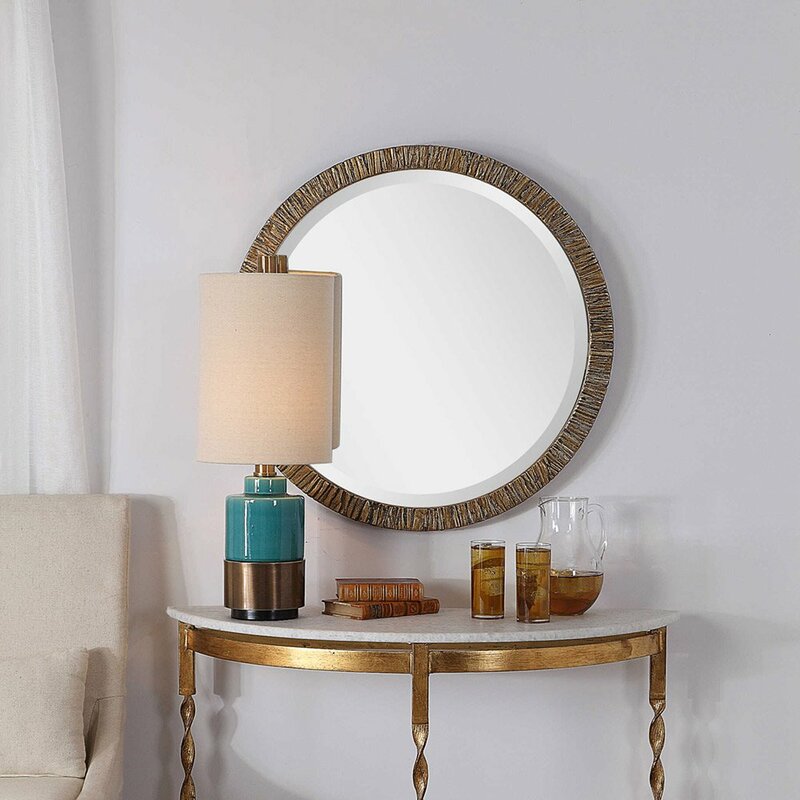 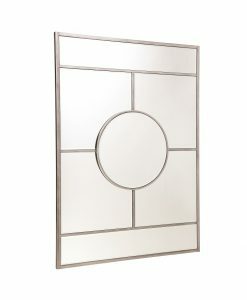 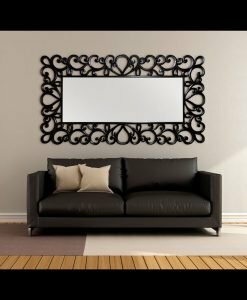 This classic round mirror showcases a modern style that is easy to place in any design. 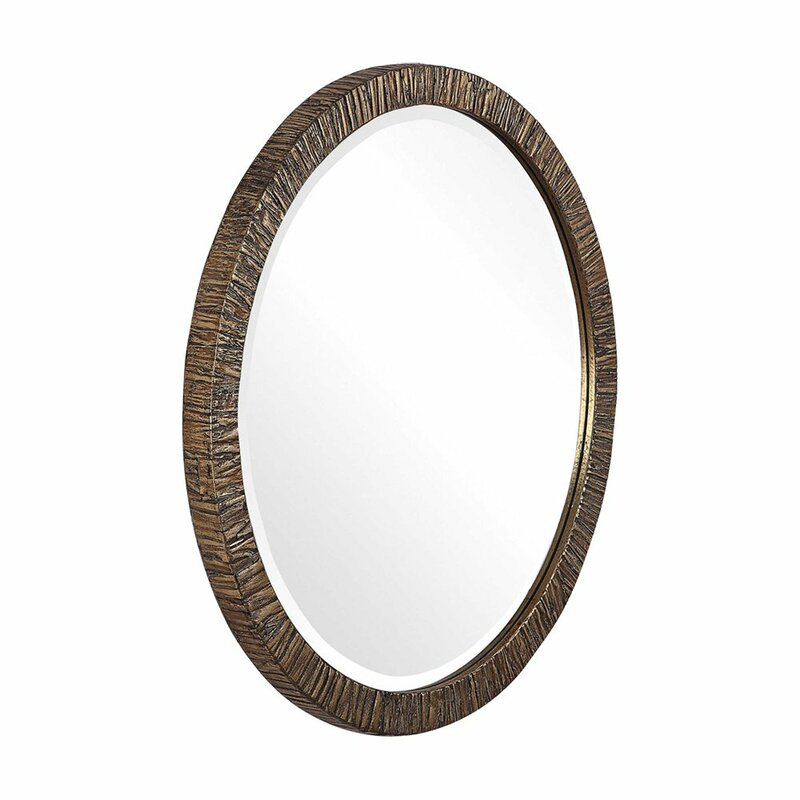 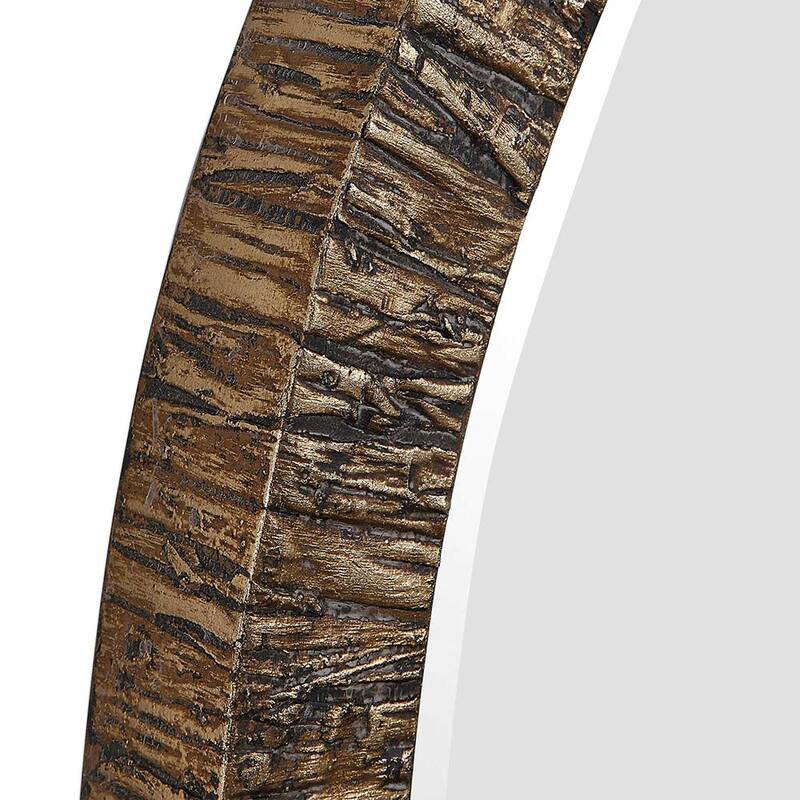 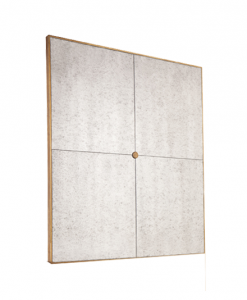 The solid wood frame is covered in a layer of preserved natural tree bark, with noticeable deep texture. 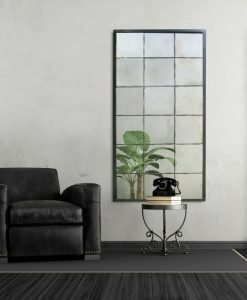 Each piece is finished in a heavily distressed antiqued metallic gold leaf. 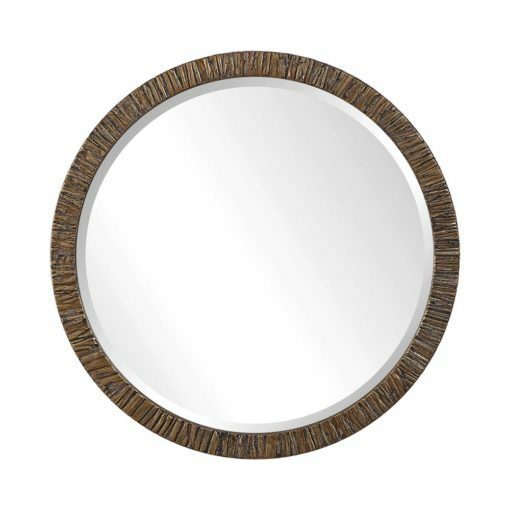 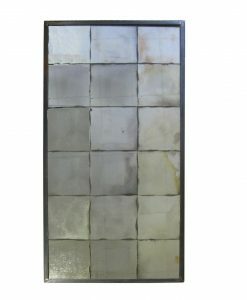 The mirror is surrounded by a considerable 3cm bevel.